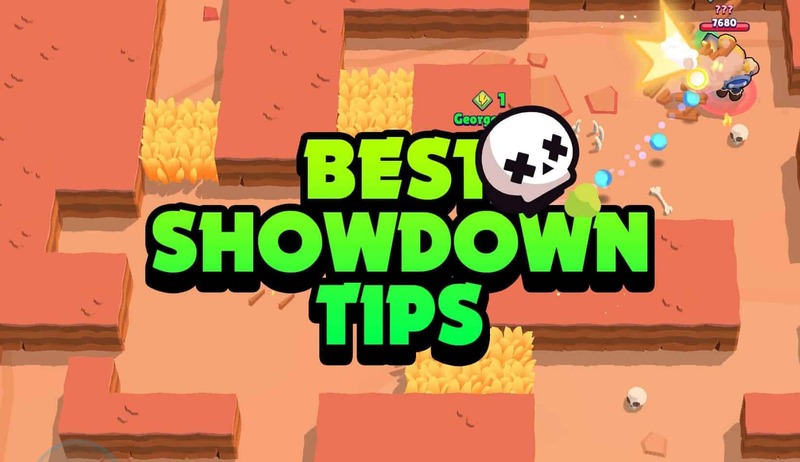 Best Brawlers for Showdown Mode (Bonus 10+ Tips) | Brawl Stars UP! Hello bros and welcome back to another Brawl Stars guide! 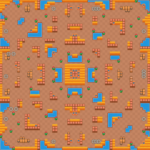 Today I’m gonna be showing you what Showdown maps are good with which brawlers and how to gain trophies easily. Let’s get right on into the guide! Brawlers like Barley, Dynamike, Shelly and Penny do very well here. The throwers also do well because they can either throw from the outside and into the middle damaging whoever camps in the grass. Penny is very good because of the clumped up boxes. Since Penny’s splash attack does more damage to the 2nd target it hits, this allows her to farm boxes very quickly. Her mortar also does very well here. Shelly is pretty good here because she can gain control of the grass that’s in the middle and camp. If not, she can charge her super up and break the walls allowing her to move more freely and hunt down enemies. We all know how frustrating Pam can be (am I right?). She’s very good here because of her control on the map. Most people don’t like messing with Pam. I sure don’t! There are also loads of Crows. I don’t know if they are necessarily good here but I see them all the time. 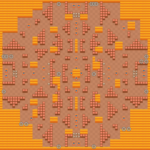 It’s very easy to get cornered and ganged up on here But I’d say this is Nita’s strongest map. She can can do peek shots over walls, and boxes are clumped together allowing her farm boxes more efficiently. Throwers do pretty good here too. Now this map is great for camping and surprising your enemy. 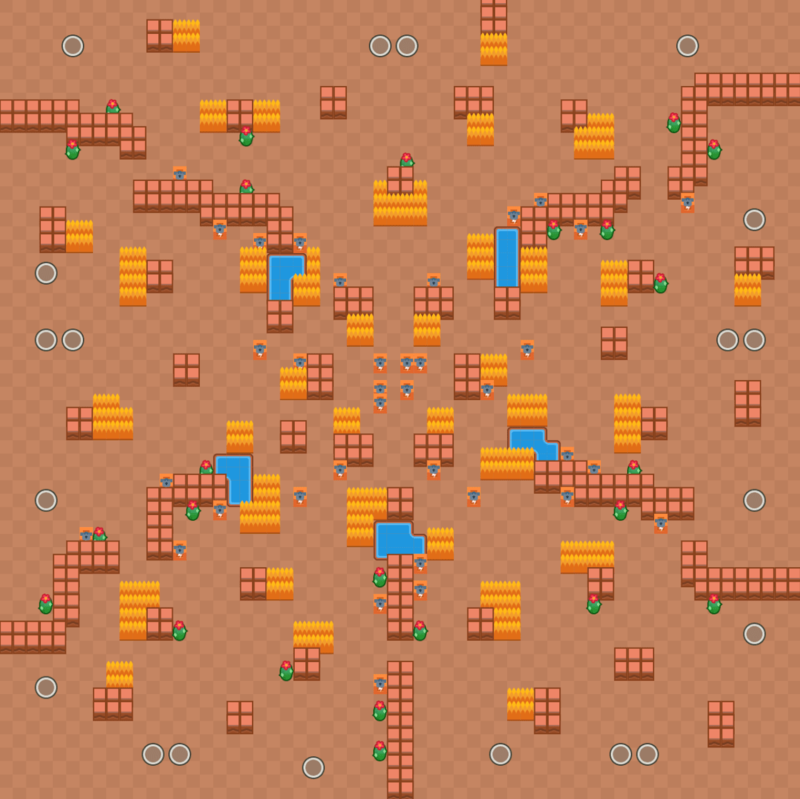 So shotgun brawlers ( Shelly and Bull) do amazing here. Frank does good here too because he can break the grass in the middle with his super. You could use Primo but he’ll get eaten up by Bull and Shelly. Bo is also amazing if you have his star power. If you don’t have his star power though, I don’t recommend using him there. (For anyone who doesn’t know what a Star Power is, it’s a special ability a brawler unlocks once they reach level 9+). 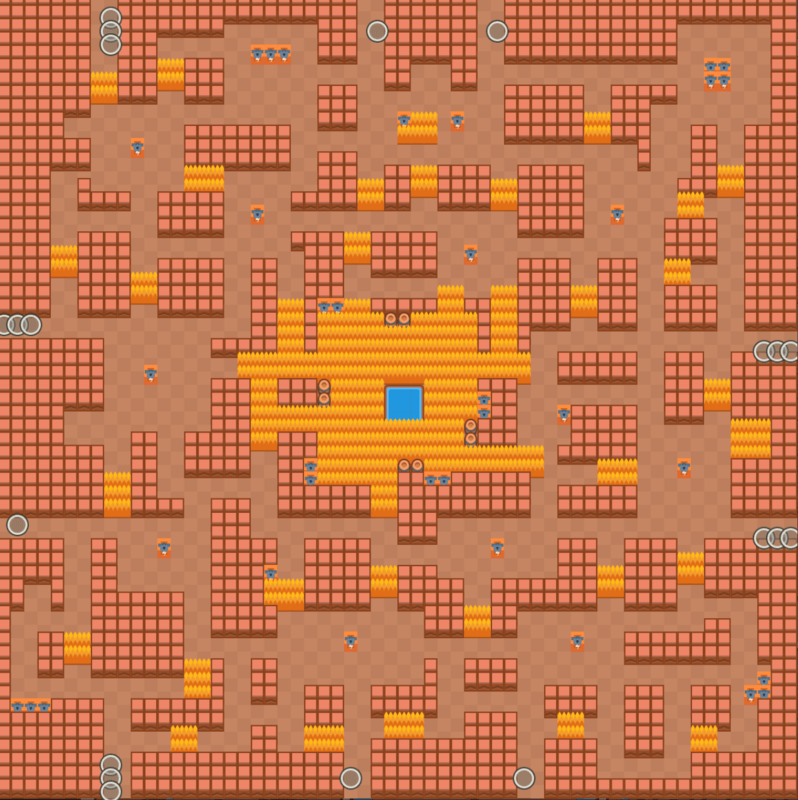 Penny is good here too, if there is enough boxes on the middle, she can easily ambush the shotgunners who get close to the boxes and end with 8+ powercubes. Nita is also pretty good in Feast or famine. She have decent HP and reloads fast enough to dispel most brawlers on her tail. Her bear sees through grass so she’s useful for wasting SGs shots and revealing their position. Relatively easy to push her in FoF surprisingly. 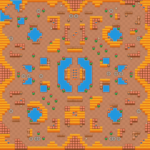 Now like Scorched Stone, I say most brawlers can be used on this map. Weather they wanna camp in bushes or shoot from a distance. I have seen tons and tons of Leons there though. Which is quite scary. There are some boxes in the corner of the map so if you want an extra power up go to a corner! 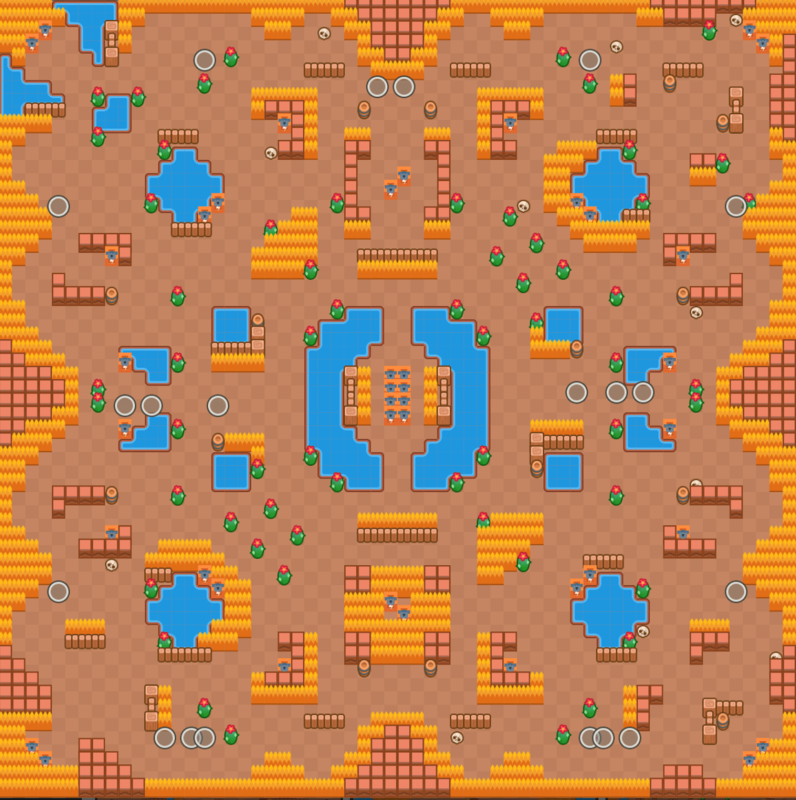 This map is mainly used for shotgunners like Bull and Shelly. 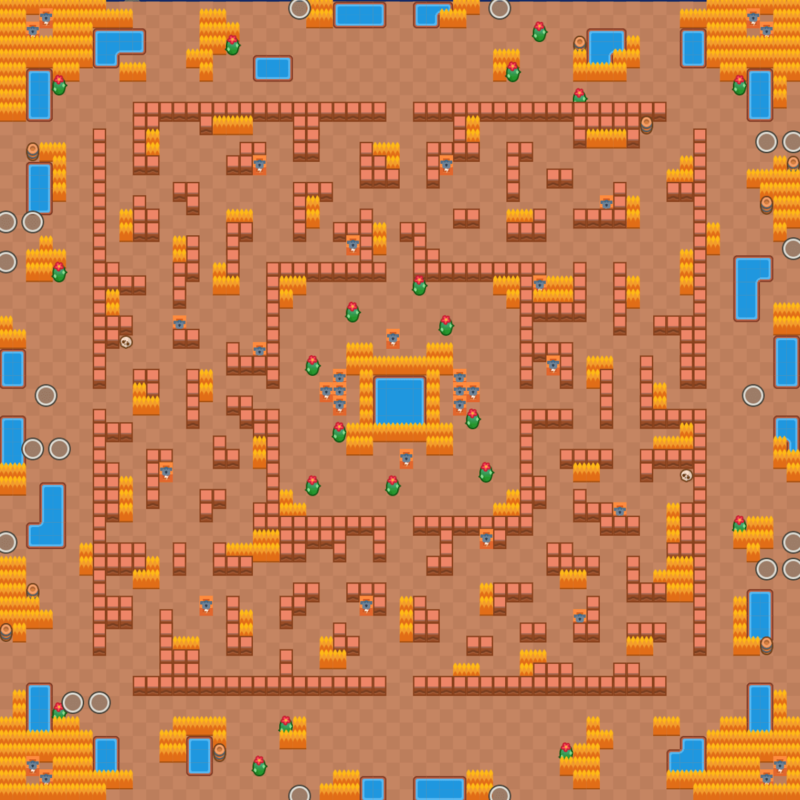 Darryl could be used but he can’t necessarily beat bull and Shelly in a 1v1 at point blank range. And once again, Bo is great here if you have his Star Power. But if you don’t, I don’t recommend using him. 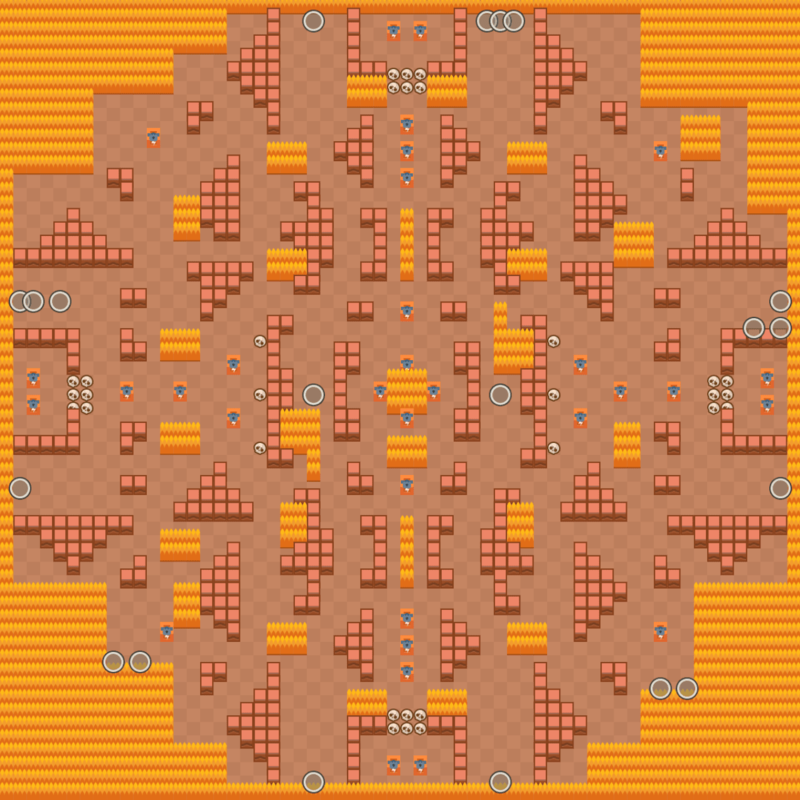 Nita can also be good here if you play it right. Stick around the outsides collecting boxes and building up her Super for the first part of the match. Then once there are only a few people left, toss the Bear over the walls into the bushes and follow behind it, allowing you to see shotgun brawlers coming without taking damage. You should be able to get top 3 pretty easy with this strategy. 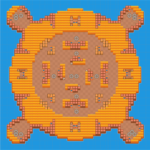 Dynamike is also pretty insane in this map as he can bully anyone trying to run for boxes. The best play is to be safe. Trying to eventually end in the area just SE of the center grass. If you use your Super correctly, and throw it right in between the 2 sets of barrels in the SE of the grassy center, you create your own isolated patch of grass. Once you check the grass, you can stay there near the end and harass whoever you can and force fights. Often Shellys and Bulls won’t engage unless they have too, as exposing themselves puts them at a huge disadvantage unless it is final 2 showdown. I often would get 1st-3rd with anywhere from 0-2 gems. The map is extremely beneficial to throwers around the outskirts, and especially considering the main characters are the shotgun wielders. The amount of fights you can create and not die from vastly outweighs your odds of dying if you play decently. Some Brawlers are good on the outskirts of this map. Like Ricochet. He’s good because he can bounce his shots off the walls and little passage ways hitting any enemies who might be lurking in them. The 2 throwers are pretty good on the outskirts too. Just don’t get too close to the grass in the middle. You might get ambushed by a Bull! 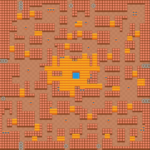 Now this is one of my personal favorite maps. 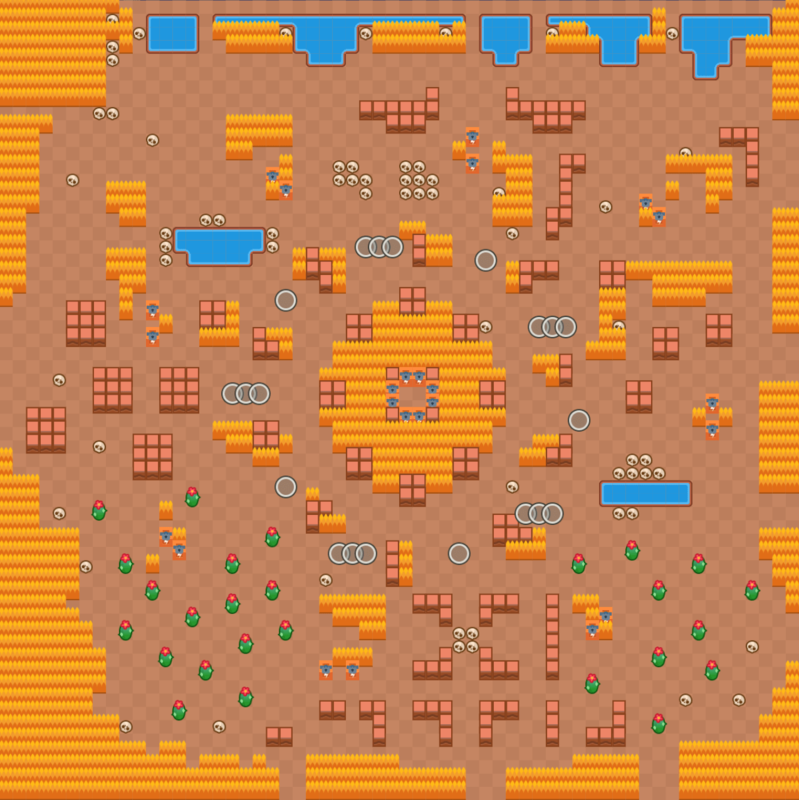 The long range brawlers like Penny, Pam, Brock, Piper, Colt, Spike and even Rico dominate. 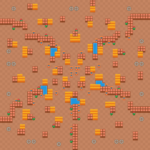 A lots of open space allows them to aim and shoot so using a short range brawler will put you at a major disadvantage. Island Invasion, like Cavern Churn and Feast or Famine is a shotgun map. Bull, Shelly and Bo if you have his star power do great here. Ranged brawlers could also do very well here in the mid of Island invasion. I’ve had mad success with Nita in Island Invasion (meteor mash) by controlling mid. 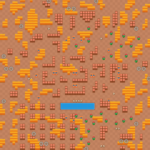 If you spawn at the corner, it’s best to run straight to mid because you don’t want to get caught in the bushes with Nita ?. And people usually team in the mid so if u can stand urself teaming against Bulls go there but its kinda sad when there is a team of six against the Bulls sometimes. 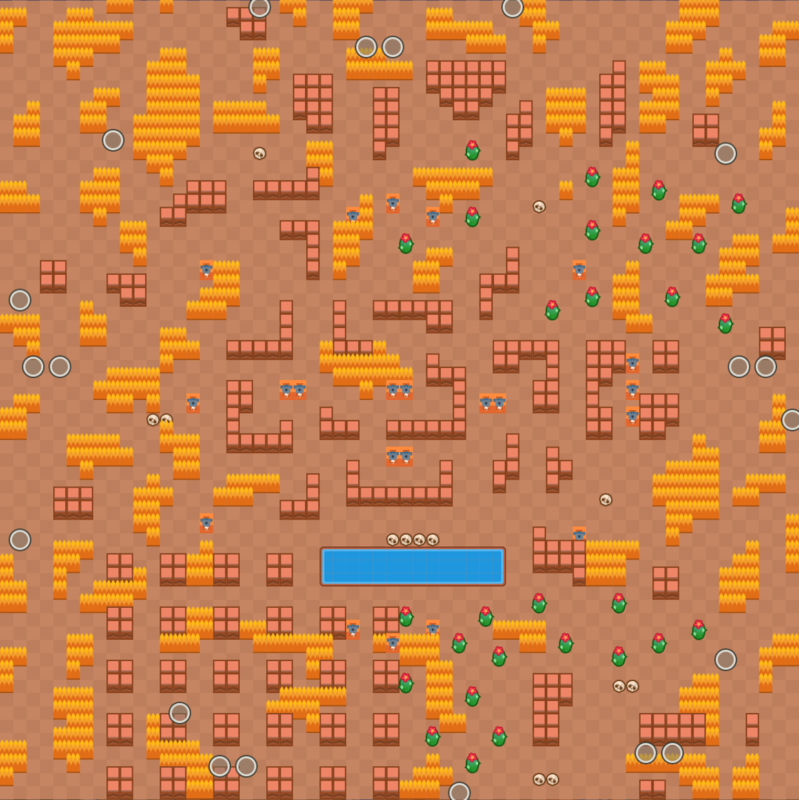 A lot of players also like rushing to the center and controlling the map with Pam as there are no bushes there. 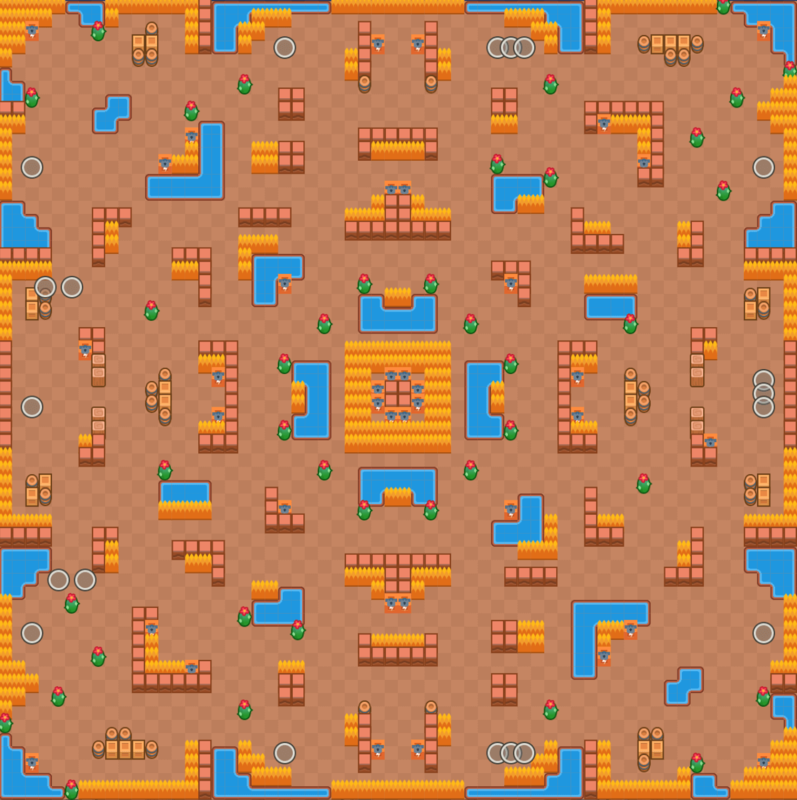 This map is great for throwers ( Barley and Dynamike). Lots of nicks and crannies for them to hide in and throw from. Another brawler that does pretty good here is Mortis. Since he kills throwers up close very easily, lots of people use him here. Now these are the brawlers I never really mentioned Jessie, Poco, Tara, and Leon. Mostly because Tara and Leon do good in any map and because Jessie and Poco are only good in 3v3 gamemodes but can also do quite well in Duo Showdown. 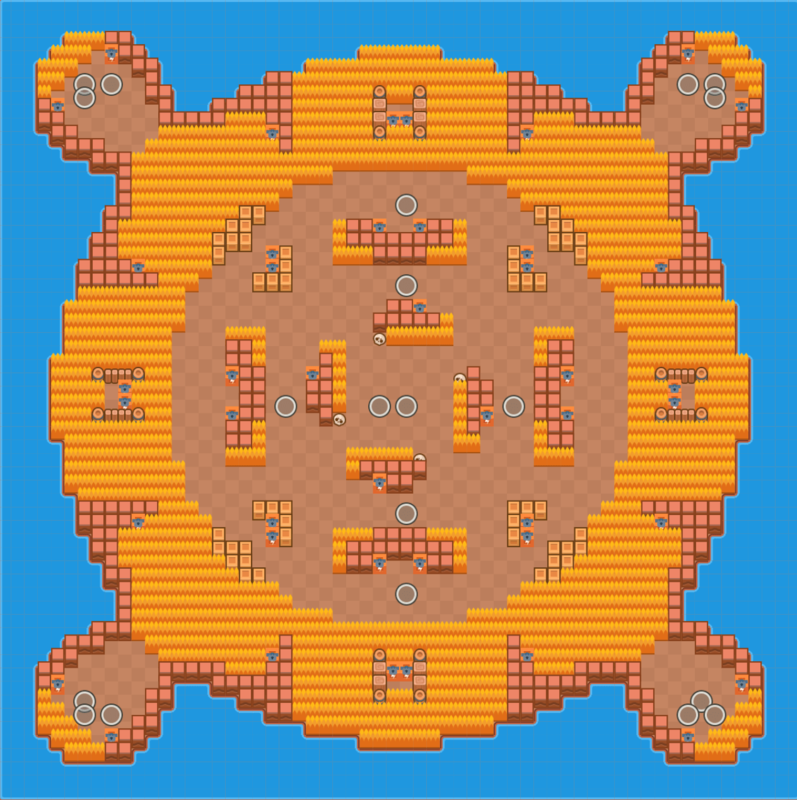 Fun fact either Shelly or Bull or both for that matter are always in a game no matter what map it is. I don’t think I’ve ever seen one of em not in a showdown match. ? Thanks to u/BrunoCNaves, u/Earthling6188284892, u/TurtleNamedFrog, u/ParziCR, u/jb526, u/FearSG, u/Spoonblob for helping us make the guide a lot better!